Easter is just around the corner! If you’re having a celebratory meal with family/friends, here are some dish ideas to bring to the table (literally). Read on for our healthy(ish) Easter recipes. Enjoy! If Easter isn’t the time for carrot-related foods, I don’t know what is. If you’re having a family dinner this year, try serving this cake for dessert. Your guests will be blown away. If you’re celebrating with a family brunch, try making these into little cupcakes instead. To do so, simply grease muffin tins, pour in the batter, and check on the muffins after about 30 minutes. Keep baking/checking until you can insert a toothpick and it comes out clean. These bright and shiny citrus bowls are fresh and rejuvenating – perfect for a light breakfast or dessert. Its bright colours are reminiscent of colourful dyed eggs, and its fresh flavour profile kickstarts you into spring. It’s also healthy, fibre-rich, and full of good fats, so it’ll keep your blood sugar from going crazy when you gorge on chocolate later. In a large jar or bowl, stir together the chia seeds, the non-dairy milk, the coconut milk/cream maple syrup, citrus juice, salt, and zest. Chill for 6 hours or overnight, until the chia seeds are plump and the pudding is thick. If it gets too thick, stir in a little more milk to reach your ideal pudding consistency. 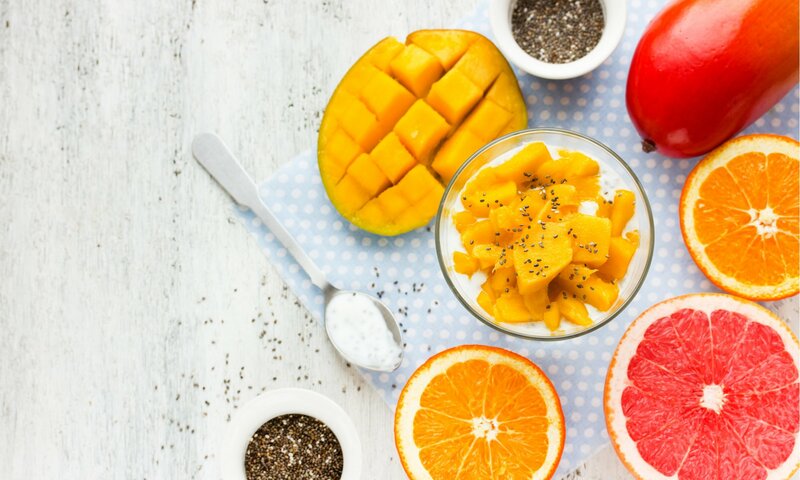 To serve, scoop chia pudding into bowls and top with fruit, almonds, and a drizzle of maple syrup on top if desired. If you’re looking for an easy Easter project to make with the kids, look no further. These chocolate oatmeal cookies come together in a few minutes and only require one pot – no baking required! Top them with chocolate eggs to mimic real “eggs”. What are your go-to Easter recipes? We’d love to hear!